E, F trains to 5th avenue, Madison buses. Our restaurant accommodates groups of up to 15 or more providing both an intimate and refined atmosphere suitable for all occasions. Tucked away on Madison Avenue this Michelin Star restaurant serves out the best caviar available, complimenting it with some of the finest cuisine in NYC. You would never guess you are entering a Michelin starred caviar & champagne experience from the entrance & elevator up (grungy). What a pleasant surprise. The server gave us very good advice on what caviar selection to order. We splurged on the champagne. We also both had the halibut which was cooked perfectly. We have almost stopped ordering it out because it is usually overdone. Armando and the wait staff were incredible. Great food and beverage suggestions and impeccable service. 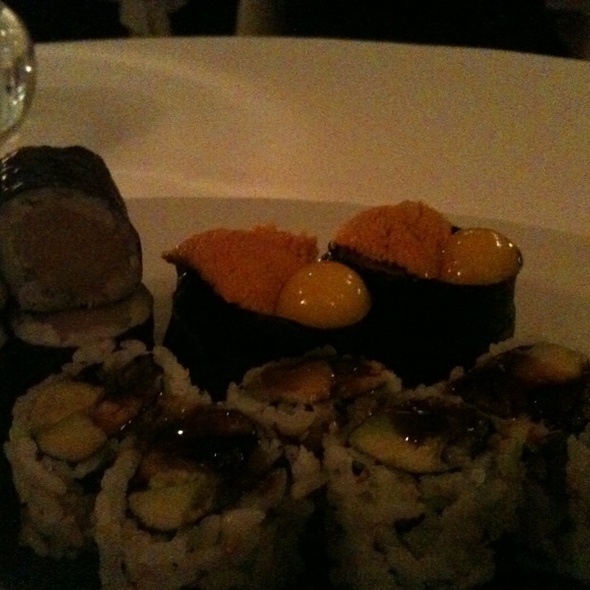 Everything was excellent and the caviar was presented and paired wonderfully. The staff could not have been better and I would highly recommend the restaurant for Caviar and non-caviar lovers equally. The fish dishes were excellent and the deserts were really over-the-top! Sky high prices, but worth every cent! I would HIGHLY recommend Caviar Russe to anyone looking for an afternoon of remarkable food, attentive staff, and elegant surroundings. The prix fixe menu has lots of options, and my boyfriend and I both shared our plates, focusing on savory choices since they let you choose any three from those listed on the prix fixe menu. Before our first course even arrived, I was won over by the delicious butter selection, particularly the Japanese miso butter, which hit the perfect combination between sweet and salty. Our ensuing plates only compounded our satisfaction. We particularly enjoyed the halibut, which may be the best I've ever tasted. Other favorites were the smoked sturgeon (what an exciting mix of flavors! ), the alaskan prawn in risotto (who can say no to a well done risotto? ), and the sepia (for the sheer delight of a good buttery French sauce). We also sprang for the smoked salmon as an extra course. For any New Yorker, who thinks they have eaten the best smoked salmon, I would challenge them to try the plate at Caviar Russe. It was pure pleasure. The blinis were light, the creme fraiche was decadent, and the salmon itself was worth a pilgrimage. For dessert, we tried the chocolate ladyfinger. Although I'm not usually a chocolate fan, I was pleased to find that the flavors were well balanced between the chocolate, ladyfingers, and vanilla ice cream, I plan to order it again. They also served fresh madeleines with our coffee, which was a pleasant surprise. I also want to take a moment to commend our extraordinary service and overall atmosphere. The Caviar Russe staff was respectful, yet efficient. Some places end up feeling rushed between the courses, but at Caviar Russe we were truly allowed to enjoy our lunch unencumbered. They were always helpful, yet unobtrusive, and never brusk. The noise was well maintained, and we could easily hear each other talk, which overall, made it a lovely afternoon I look forward to repeating. Amazing as always! Great personal service and outstanding food! Wonderful selection of caviars and premium vodkas. Sushi grade seafood. Thoughtful, inventive preparations. Knowledge service. All I can say is “this is what a Michelin star restaurant should be”. Food is excellent, service is excellent. Not overly formal. Beautiful ambiance. Just outstanding all around. 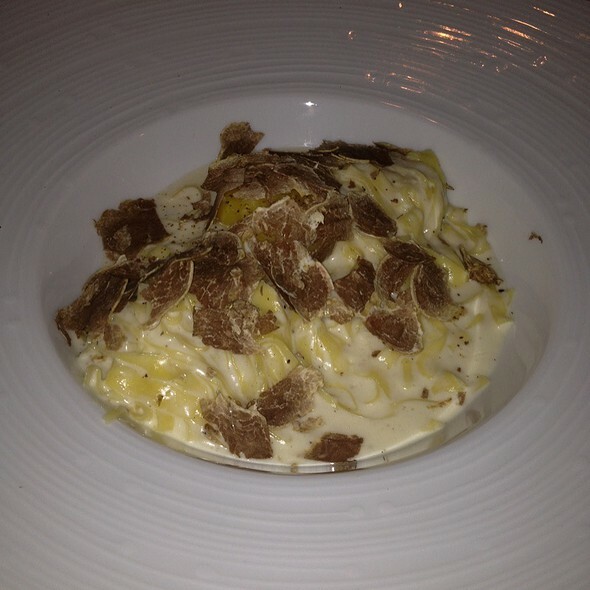 My wife and I have been dining at Caviar Russe for over 10 years now. 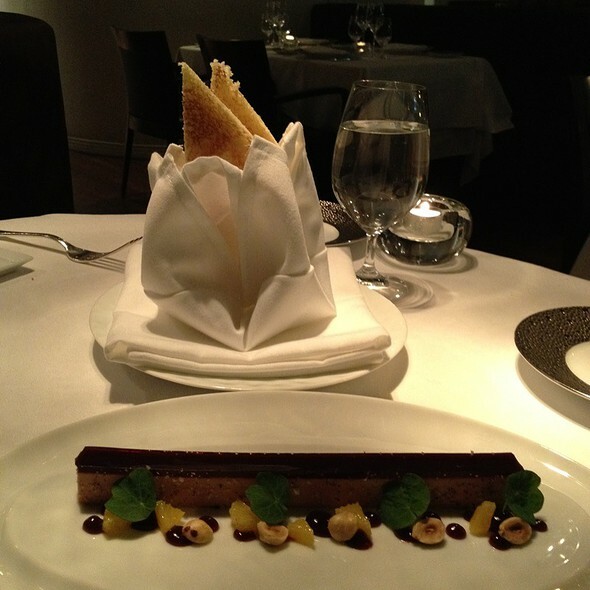 The food is always impeccable and the service is second to none. An extraordinary experience. Caviar was imbued in the food. Service was impeccable. Taste is good, but price is too high, only 6 tables. 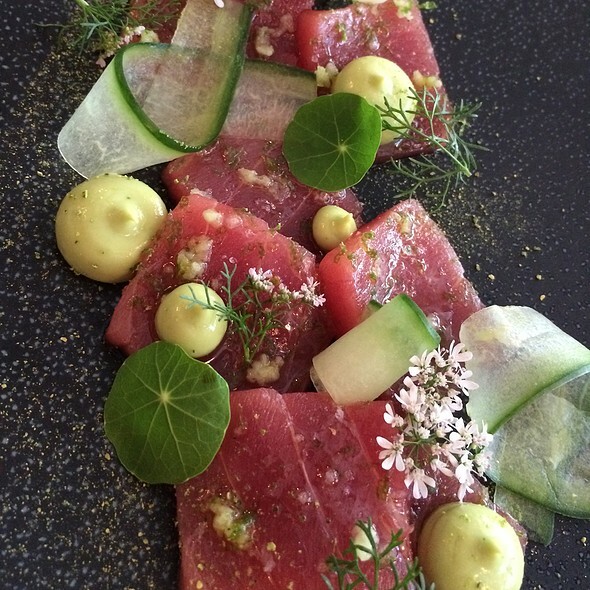 What a treat, going to Caviar Russe. This is one of the best restaurants in NYC. Small, intimate, and romantic establishment on Madison Avenue, Caviar Russe is the ideal venue for that special occasion. The service was impeccable. We had the pleasure of being served by Elezar, one of the most professional waiters I have ever met. Quite disappointing, while the food was delicious, the tasting menu was grossly overpriced when compared to quality of other Michelin Star restaurants. 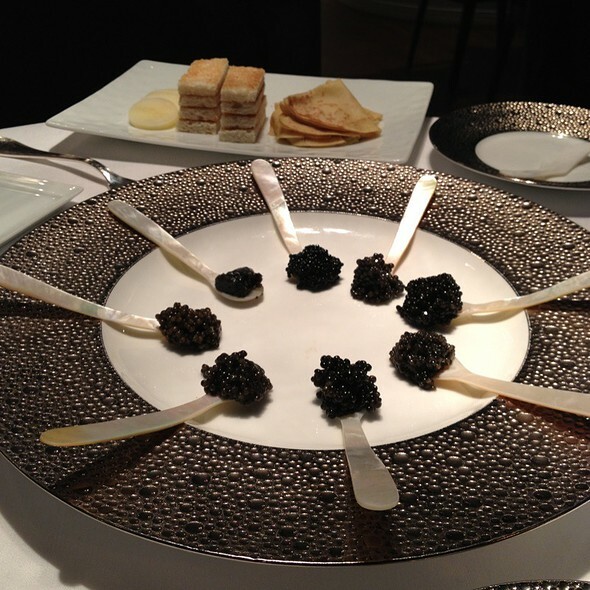 Given the price and their reputation in caviar, one might expect the tasting menu to incorporate caviar into the dish. 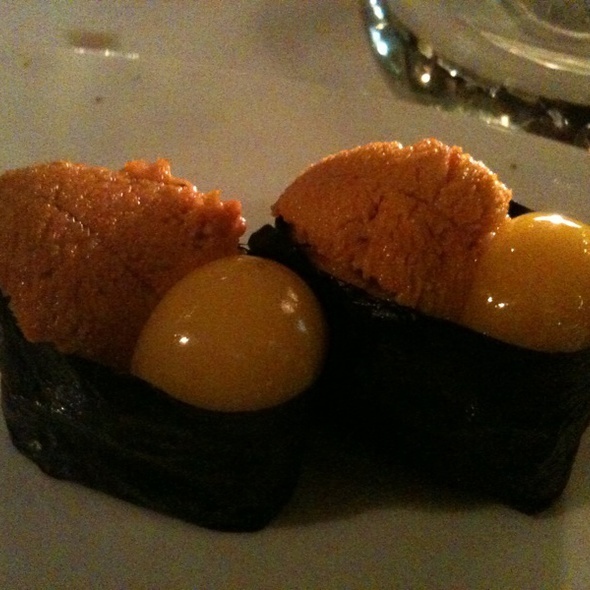 We were excited to see how caviar could be incorporated in unique and creative ways, but sadly this was not the case. Very bad experience, especially for a Michelin star restaurant. The server provided misleading information about the menu and we ended up being overcharged. The servers were rushing, didn't seem friendly neither professional. We started off with a caviar tasting. You have various options to chose from. Thereafter we went for the tasting menu. Firstly the service was excellent. We were both highly impressed with the care and attention given to us. Just outstanding caviar. Irreplaceable experience. Top notch quality even just for lunch. Will definitely come back again. Exceptional dinner, phenomenal ingredients, great staff, we'll worth it and highly recommended. This is regarding the $1000 NYE event. Food: caviar was amazing and that's about it. The rest of the food was too salty or buttery. The bread was rock hard. The butter and cream for it were good though. One of the sauces tasted Olive garden level. Service: Alot of crossing across food to serve the other person without moving. There wasn't cositency in which direction the food was served or taken awayeither. We also asked to be done in 2.5 hours, and they wanted to drag it out initially. We barely got to desert in ~3 hours and had to leave. The bathroom's counter side had like toothpaste on it as well. The atmosphere was great and it's definitely an amazing restraunt for caviar. Just don't get anything else. What a gem! Beautiful small intimate dining room - though seating is not crowded. Staff was incredibly professional & extremely nice. Pricey but not out of line for what you get. The caviar options are fantastic. And yes even a wonderful steak option if someone isn’t a seafood fan. But the seafood is insanely fantastic! Already on my list of must go back to restaurants. We shared the memorable occasion and they blew my girlfriend’s door off. 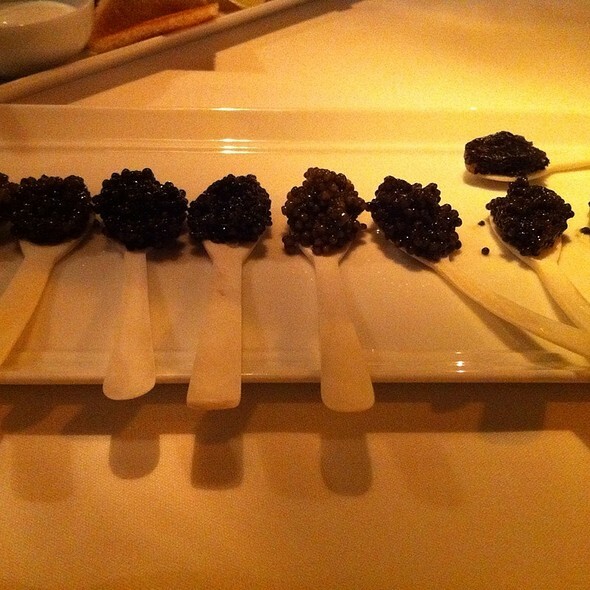 We shared the $695 sampler of osetra caviar. 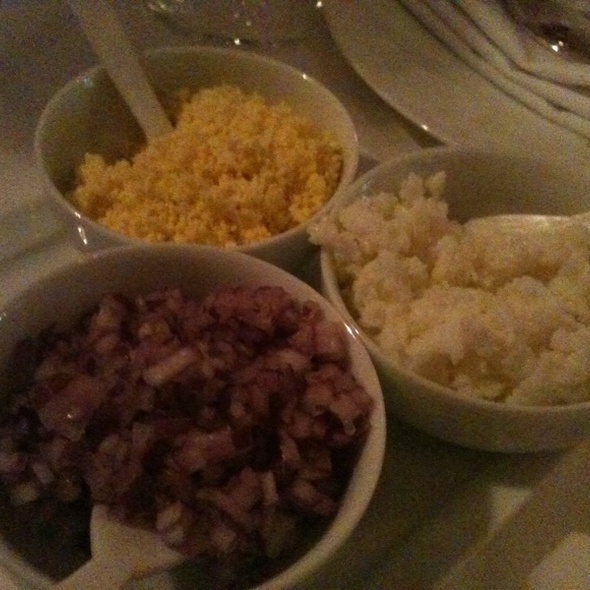 It comes with a variety of blinis and potatoes and creme fraisch. Since we mentioned we were celebrating an anniversary, they brought us a complimentary breaded, soft boiled egg in a Parmesan sauce that was fabulous. They then brought us a complimentary dessert. Look, fantastic caviar is expensive. This place does it right. 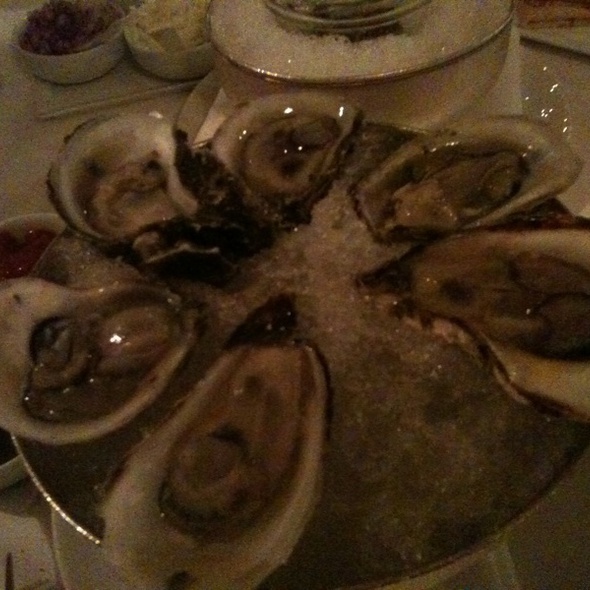 Recommend Caviar Russe only if -- foremost -- you have ample bucks to back up the bill...and if you LOVE caviar. Their selection is amazing and their pricing could turn one into speechless comatose. For the price of just one meal (per person) I could purchase a whole tin (125 g) of Alverta Caviar at Petrossian, plus 2 bottles of Veuve Clicquot. Fabulous treat! The food is presented beautifully and so delicious! The staff go above and beyond. Thanks! Great service and mood/feel. You feel special when you are at this establishment and the food is outstanding. Great food, great service, you get what you pay for and be prepared to pay. Wonderful dinner for our friends 60th Birthday. The service and ambiance were equal to the food. Awsome consistent quality. Run to this caviar house. Excellent, service, food, and Staff !! This has been a great favorite when visiting NYC. We especially enjoy lunch. The selections of caviar are extensive and ALWAYS of high quality. Service is attentive but not over-bearing.